Current Situation in Ukraine, Crimea. 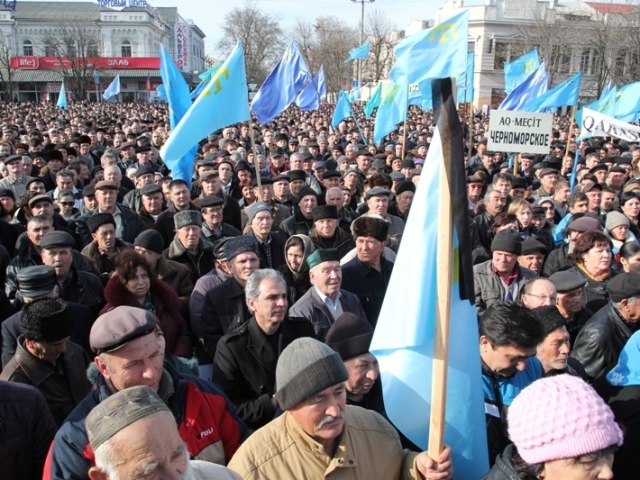 Who Are Crimean Tatars? Crimean Tatars are often defined as Muslim minority in Crimea, significantly harassed by Soviet regime. Today, when the current situation in Ukraine is especially acute, Crimean Tatars, along with Ukrainians, Russians, and other ethnicities suffer. Euromaidan in Kyiv, despite being a heroic act of struggle against incompetent and felonious authorities, is a phenomena not considerably supported by Ukrainian citizens from Eastern and Southern regions. The main reason for that is Russian-speaking population’s growing concern about infringement of their language. As well that, Russian-based mass media, commonly available in Ukraine, have been fueling the rising uncertainty by deliberately distorting information coming from Kyiv. The situation in Crimea is complex in particular because together with Slavic population here lives approximately 15% of Crimean Tatars, along with many other ethnicities. The number of ethnic conflicts that scarcely arose before are now increasing rapidly. 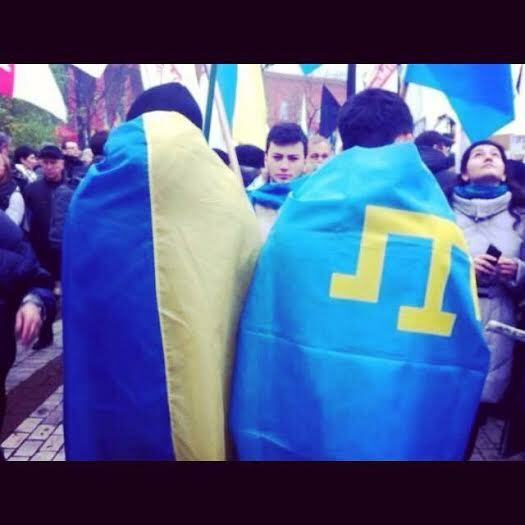 The Pro-Russian followers have been opposed to supporters of Maidan (mostly Crimean Tatars and Ukrainians). Vigorous statements of certain parliamentarians have facilitated deterioration of the issue. While Crimea is being torn between Ukraine and Russia, Crimean Tatars’ well-being in their homeland is jeopardized again. Crimean Tatars remember the days when annexation of Crimea to Russia in 1783 led to numerous deaths and exiles to Siberia. This fostered a massive immigration to Ottoman Empire. More than half of Crimean Tatar population was forced to leave their houses in order to save their lives. During 1917-1933 a very significant number (almost 50%) of Crimean Tatars perished as a consequence of multiple man-made starvations. In 1944 Crimean Tatars have been accused of treason. According to NKVD, the majority of Crimean Tatars were collaborating with Nazis. The charges have been proved wrong later, as prevailing number of Crimean Tatar men were loyal to Red Army, many served in Partisan Units. Overall, traitors among Crimean Tatars constitute only 1% of the entire number of those who betrayed the Red Army (among ethnicities of USSR). 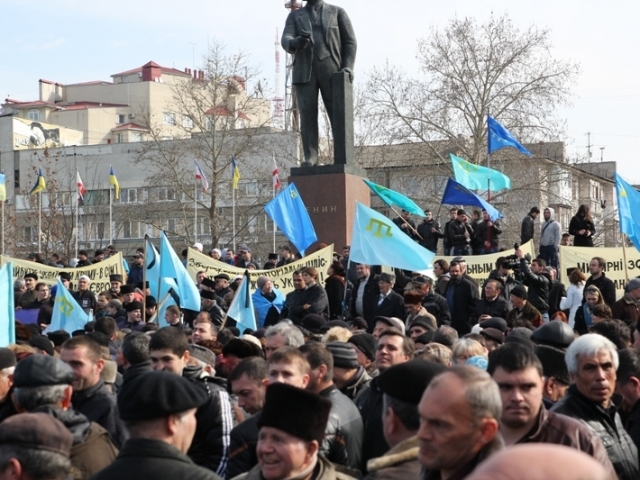 However, no one officially apologized for that crucial mistake and Crimean Tatars are still facing prejudice and ignorance expressed by many communists, Soviet worshipers and some Pro-Russian politicians. This mistake subjected the entire nation to deportation from their home-country, Crimea. While Crimean Tatar men were fighting for Soviet Union, women, children and elderly people were conveyed to Siberia and remote districts of Uzbekistan. As NKVD reported, 80% of deportees were women and children. Many died on the way, many perished because of diseases and starvations. The conditions they faced can only be compared to those of a concentration camp. Crimean Tatars were only permitted to return from the exile during mid-1980s. The houses, they were driven out, were already occupied, so Crimean Tatars settled in outskirts and started to slowly recover. After the massacre the Soviet regime caused to Crimean Tatars, the genocide is still not claimed. But what is astonishing, is that the monument of Lenin is still standing on the main square of Crimea. In Simferopol there is Mokrousova Street named ‘in honor’ of the head of Crimean Partisan Units, well-known racist who fostered extermination of Crimean Tatars. Despite all the harm caused by Soviet authorities, there are still representatives of Communist party sitting in Ukraine’s Parliament. All of the facts, mentioned above, make a substantial reason for Crimean Tatar population to be preoccupied when Russian troops and armored vehicles are invading Crimea, when Russian soldiers armed to the teeth occupy Crimean Parliament, other government bodies and Simferopol Airport. 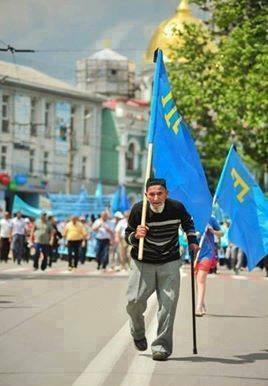 Crimean Tatars do not have an alternative plan or place to escape, they only have one homeland – Crimea. Another disturbing fact is that Crimean Tatar language is endangered. Very few descendents of immigrants speak it these days. Even residents of Crimea speak more Russian, instead of native language. This is another bitter result of Soviet oppressions. The same scenario is repeating itself for the third time – Crimea is invaded, Crimean Tatars are either deported or forced to leave their homes once more. Human rights, freedom, democracy and no war threats – that is what we all deserve. And Crimean Tatars deserve it as well.